With Shortest Path and Superior Route Tool, no longer will you need to worry about how to prioritize the stop points and which route will be the best to link these points together. 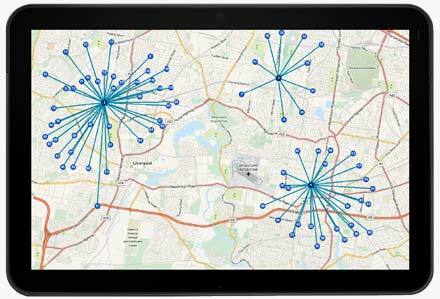 By making good use of Network Analyst, you can simplify the complicated calculation and manage your tour effortlessly, which would save a lot of time and energy as well as extend the lifespan of your vehicles. The most desirable thing for a logistics company is to deliver goods to customers timely with the least cost. Vehicle Routing Problem Tool can fulfill this requirement by providing intuitive user interfaces and complete parameter settings. Hence, it allows logistics companies to improve their customer satisfaction with even lower cost. By viewing problems with the network perspective, you will never be overwhelmed again by the amount of data that you are facing. The Network Analyst provides a unique perspective for people to see through the surface, recognize patterns in various datasets, and develop strategies for problem solving. Selecting a good site can always bring in more commercial opportunities or increase the use rate of public utilities. 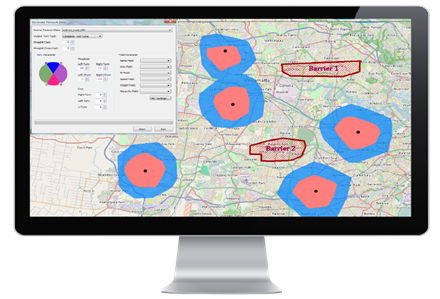 If the users can make good use of Location Allocation and Location Analyst, these tools will become great consultants for better site selection. For example, a shop owner can pick the location when students are the target customers. The government officials can also choose the site of a fire department that can respond to emergencies within the shortest time. Supergeo does not publish pricing information for SuperGIS Network Analyst online. Please contact Supergeo Reseller that serves you for detailed pricing information and the most suitable licensing option. Software maintenance is also included in the license of SuperGIS Network Analyst. It includes technical supports and updates within the same version. For example, with a valid maintenance, users can upgrade their 10.0 to 10.X without additional cost. 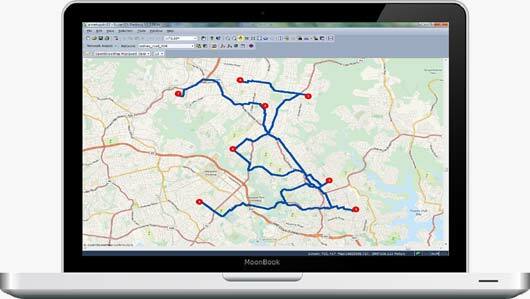 SuperGIS Network Analyst is an extension of SuperGIS Desktop. To experience how it could benefit you and your organization, please download the trial of SuperGIS Desktop and activate with the code we send to your inbox.